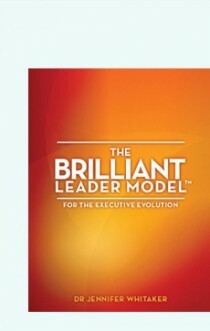 Thank You For Your Interest in The Brilliant Leader Model eBook! Why the Brilliant Leader Model? I have heard a common theme as I’ve listened to clients for the past 10 years. They look good from the outside but often feel empty within. They struggle with how to address that ‘hole in their soul’, as one client described it. The Brilliant Leader Model is intended to guide people to do the inner excavation that leads to outer transformation. This is a resource that helps people silence the static within so they can more efficiently and effectively deal with and shape the noise ‘out there’. I invite you to read it, share it with friends and colleagues, and enjoy it. It is my gift to you as you step into new levels of your own brilliance. It’s time to shine — Be Brilliant!